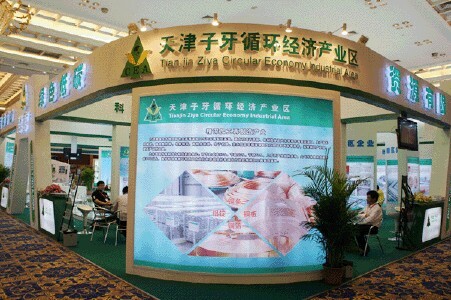 the Environmental Protection Agency of the city acompanied by the Environmental Protection Agency of Jinghai county, garden management committee of environmental protection industry of State Taxation Bureau, Ziya, held the working conference about management standardized. The meeting notified the examine result made by State General Bureau of Environmental Protection about the the waste electric apparatus of hardmetal, waste electric wire cable and machine import units, announced that the second stage construction of this garden beginning to start from April 18 (including the closing of the garden, the construction of the administrative area and the supervising area); From July 1st this year, the environmental protection industry garden of Ziya will bring seals managing in effect, The imported goods must be complietly disassembled before carried into the garden, all will be registered by the management committee. Aiming at the status in quo and the problems about the environment protection and the management, the Environmental Protection Agency of the city, State Taxation Bureau of Jinghai county had proposed the management aim for the future.